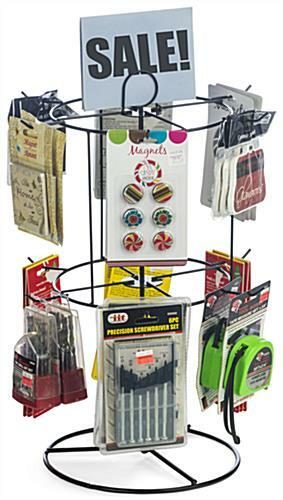 The countertop spinner display is a practical fixture for any storefront. 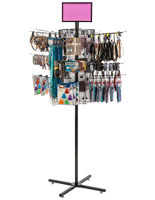 Both wire rack tiers rotate a full 360° so customers can have a complete view of merchandise. 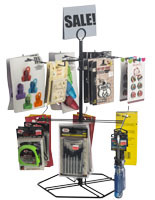 The black spinner display requires little assembly and can be put together by attaching the pole to the base and sliding the top into place. 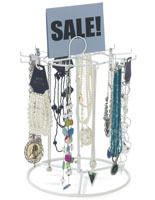 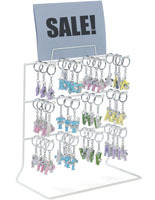 With the pegs spaced 3” apart you can use the wire rack to showcase a wide variety of hanging retail items in your store. 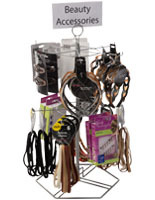 The spinner display has 2 tiers each with 6 hooks to hold a large amount of merchandise. 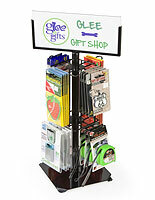 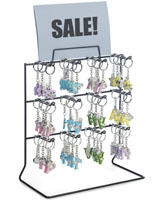 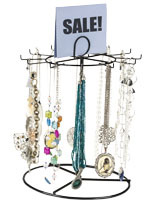 This fixture can be used in your store to promote an bookmarks, snacks and other impulse items in a organized manner! 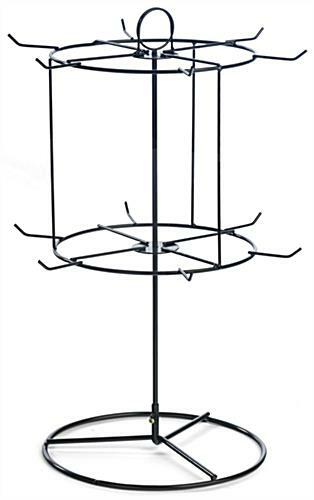 12.3" x 19.0" x 12.3"